Whether you obsess over small details or miss glaring blemishes, selling a house often feels more complicated than it needs to be. Luckily exposed brick, vegetable gardens and indoor hot tubs aren’t the only way to entice potential buyers. With a few simple DIY fixes, you can elevate your house from maybe to must buy. Trendy wallpaper and smartly-painted rooms can increase the value of your home, but dark colors and noisy wallpaper can make otherwise inviting homes feel like time consuming fixer-uppers. Bold, dark colors leave rooms feeling dim and cavernous, while blank white feels clinical and lacks character. Similarly, kitschy themed bathrooms and kitchens make it particularly hard for buyers to picture their personal spin on a space. 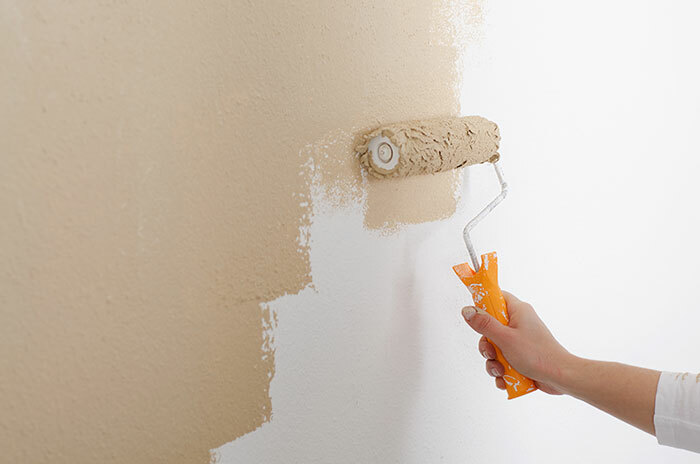 Don’t sell yourself short because of the wrong paint colors or wallpaper; give your home a new coat of neutral, non-white colors and remove any dated wallpaper. If you aren’t confident in your abilities as a painter or need an extra set of hands, professionals can help reinvent your space in a more open and inviting light. One of the main offenders of remodeling, nothing screams old and tacky like popcorn ceilings. Many homeowners put off addressing their popcorn ceilings because it seems expensive, inconvenient and needlessly time consuming for little payoff. On the contrary, removing popcorn ceilings is easy and often has a lasting impact on your home’s value. Once again if you aren’t up to the task professionals can make quick work of your ceilings so you can focus on other renovations. If you do decide to take the DIY route, be sure to inspect the popcorn ceilings for harmful materials before tackling removal. From slate to hardwood, tile to vinyl, flooring fads come and go. If you are still sporting 90’s faux-wood linoleum or a carpeted bathroom, catch up with the times or buyers will leave you in the dust. As you decide how to adapt your flooring, aim for neutral patterns and materials like stone tile or hardwood for the longest-lasting value. Think the same way for countertops and showers as well. And don’t forget to replace heavily worn carpets and clean the grout between tiles too. Like tacky wallpaper, there is a clear difference between stylish, sophisticated wood paneling and the kind that reminds you of your parents’ basement. While the former is an obvious selling point, dated wood paneling and excessive crown molding cheapens the appearance of your home and reminds buyers of the work they will need to do to remove it. If you can’t afford to get rid of the wood paneling, paint it a neutral, non-white color like your other rooms. It will make the space feel more livable and modern without sapping nearly as much of your budget. 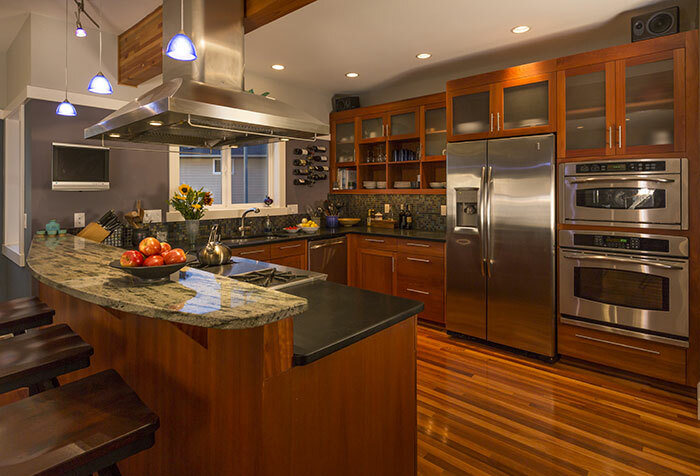 Appliances, hardware and light fixtures are the icing on the home renovation cake. Leave the buyer in control of their home decor with stainless steel kitchen appliances, a timeless choice that suits the widest variety of complimentary color options. If you cannot afford to replace your current appliances, be sure you thoroughly clean them inside and out. Nothing is worse than not seeing a project all the way through: spending lots of time and money remodeling your bathroom except for the annoying fan attached to the light switch or sprucing up the kitchen decor and forgetting to fix the leaky faucet. Similarly, well-designed door knobs, quiet ceiling fans and modern light fixtures provide the oomph to make every room feel fresh and energy efficient. You can take that feeling to the next level by matching your light bulb color temperatures to the mood of each room - true white suits busier spaces like the kitchen, bathroom and home office while a cozy, warm white better complements the hallway, living room and bedrooms. You don’t have to shoot for the moon or reinvent the wheel to sell your home. Whether it’s a fresh coat of paint, clean carpets or simply a new door knob, the best remodeling ideas are not the most expensive or difficult. The best ideas show with a little creativity and elbow grease, you can find a buyer in no time! And of course, we’re here to help you throughout your home selling journey.